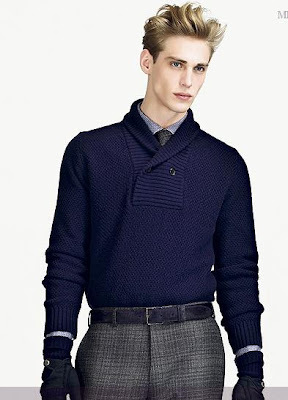 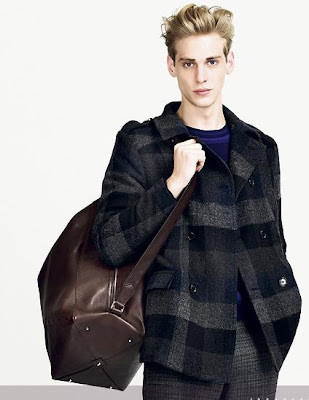 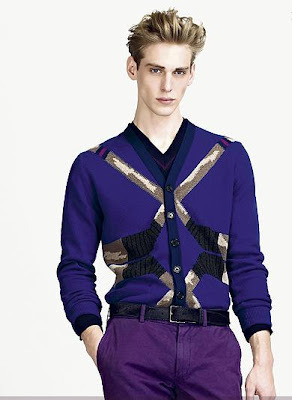 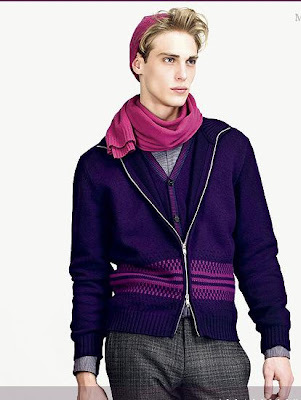 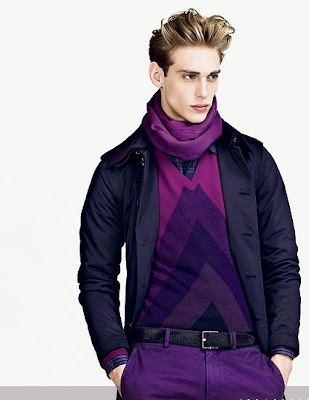 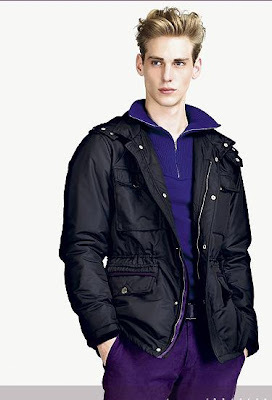 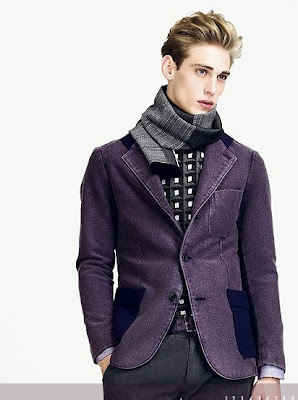 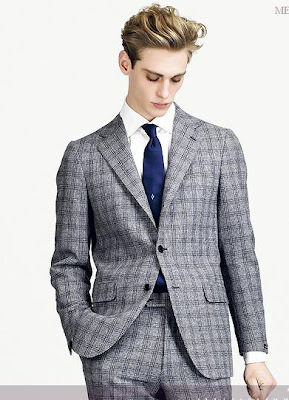 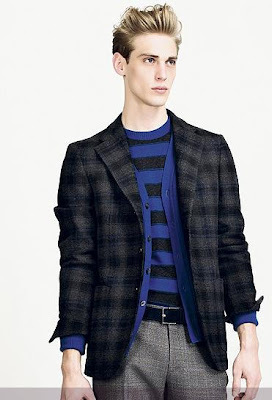 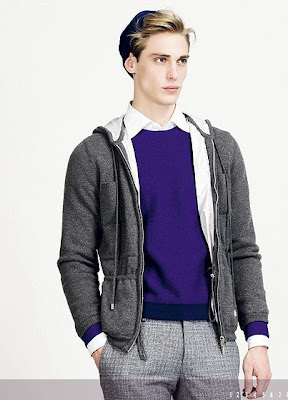 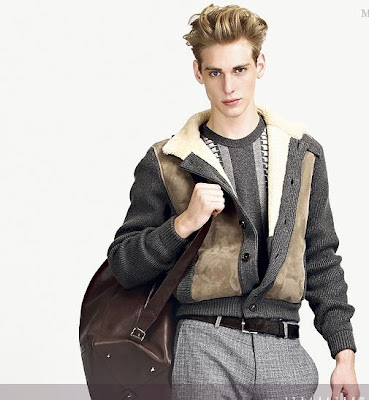 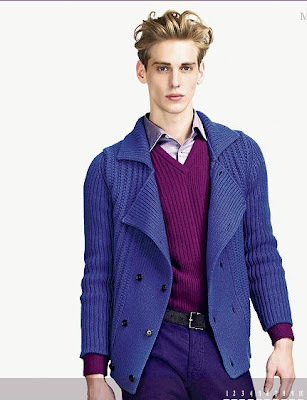 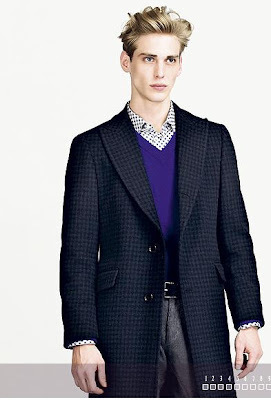 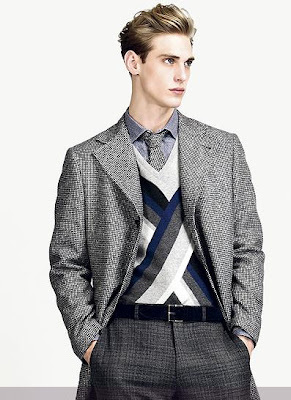 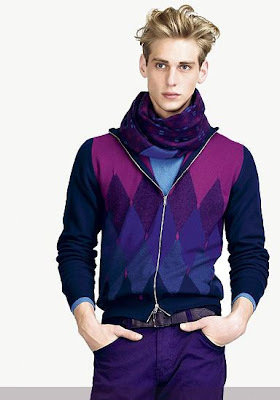 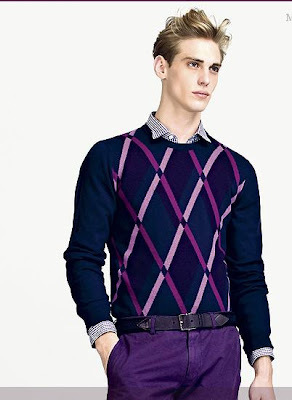 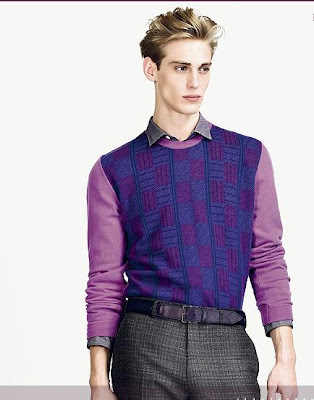 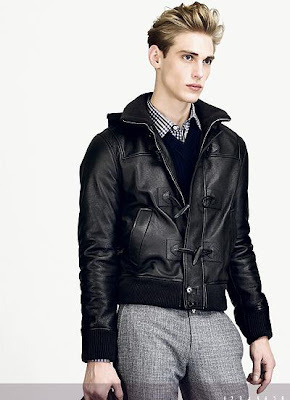 For fall/winter 2009-2010 luxury label Ballantyne is all about innovate use of knitwear. 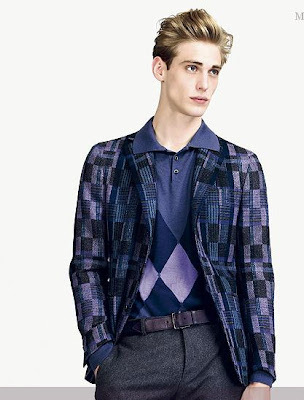 For this modern and quiet elegant collection Ballantyne Creative Director Dawidh Di Firmo used geometric patterns and broad palette that ranges from violets, grays and blues specially regal blue. 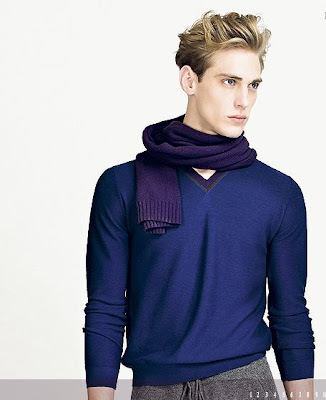 For this season Ballantyne introduced the innovative patented yarn called “Wet Out Cashemere” which is a special water-repellent finish prevents liquids from saturating the external layer of the knits: rather than wetting, water washes away forming little spherical drops. 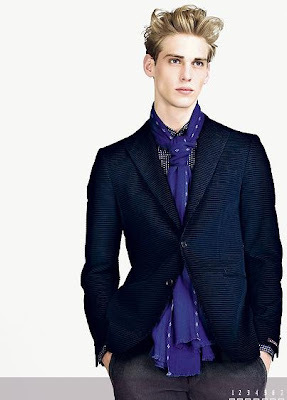 As ever, the collection is completed with a sophisticated range of accessories. 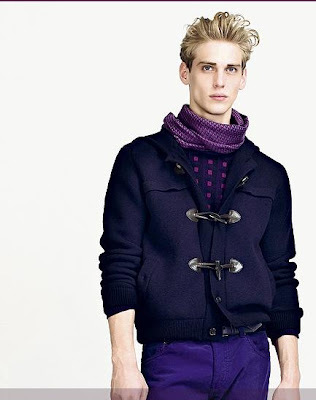 Of particular note among the footwear are the lace-up models in distressed leather and the desert boots in plum pony skin.